If you want to be the best, you don't just wait for it to happen - you have to work at it. You need to be constantly striving to find what works where, and why, and make it better. Pelletier's Powder Coating takes great pride in working hard, investing time and resources to find the best solutions possible. 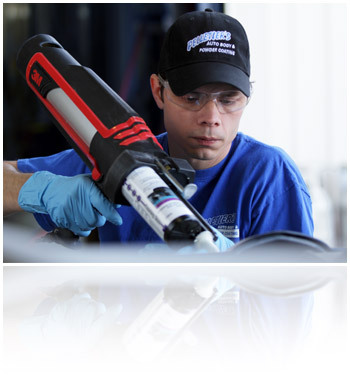 We work closely with DuPont, prototyping new systems and driving the industry forward. You and the environment. If we think that a new product, process, or tool is going benefit our customers or minimize our harm to the environment, then we'll invest in it. This concern for reliability, performance, efficiency, and reponsibility drives us to try, innovate, and succeed. That's why we actively work with our partners to discover what works best. Cinevate photographic gear is rapidly being recognized as some of the best in the world. We rely heavily on CNC machined parts and consequently have the need to protect bare aluminum and steel with coatings that live up to our very high standards of consistent aesthetics, and durability. All powder coated Cinevate products are matched in this way to ensure that components from our entire line look and function perfectly together. Pelletier's powder coating has evolved over the last five years to a level of professionalism that we would hold up to any company worldwide. Preparation, consistency of application, cleanliness, and bake operations all require a high degree of expertise to "get right" and this is exactly what we see in the powder coating from Pelletier's. Further, the speed with which large production runs are completed, combined with highly organized business processes, fit well with our "just in time" manufacturing process.